As the saying goes, if you’ve met one child with autism, you’ve met one child with autism. Each child with this diagnosis is completely different and will have different communicative strengths and needs. 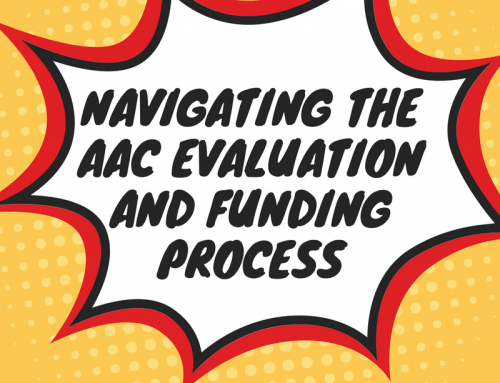 For that reason, it’s impossible to set forth a single plan of action in speech therapy that will work for every child with autism. Instead, I like to use these 5 principles as a framework when decided what to work on in speech therapy with a child who has autism. Your first goal with any child who has autism is to make sure that he or she can communicate functionally, and spontaneously. This means that the child needs to be able to communicate his basic wants and needs to those around him without needing to be prompted through it (the adult shouldn’t have to say “what do you want?” or “use your words”). If the child already has that down, awesome! You can move on. If not, stop here! Do not pass go, do not collect $200! This step is a MUST! 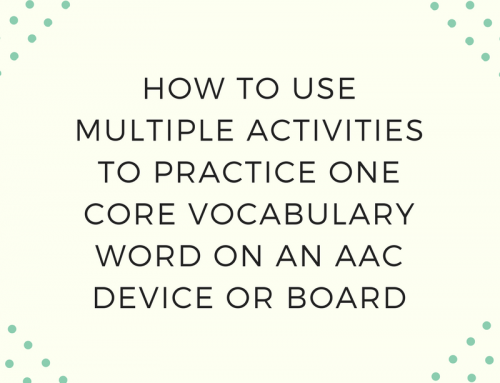 Voice-Output AAC Device: This device will speak a message when the child pushes a button or hits a switch. These can be as simple as a single button with a single message and as complicated as a touch-screen device with buttons and folders that change as the child pushes certain buttons. Picture Communication System: Some children benefit from using pictures to communicate. This makes communication much more concrete for them. You can start by using a simple communication board and having the child point to what he wants. Or, you can use a more complex system like the Picture Exchange Communication System (PECS). Sign Language: Some children benefit from using their own body to communicate by using sign language. 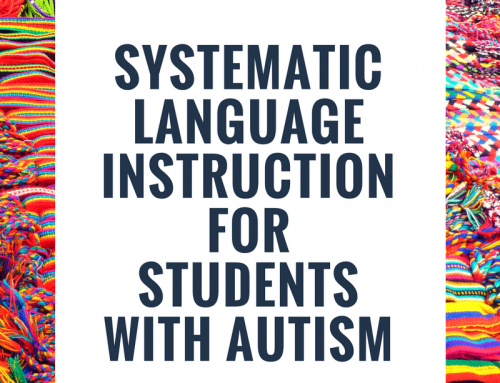 This has been used very successfully with children with autism and has even been shown to get kids talking with their mouths more quickly than they would have without using sign language. Helping Children Use Language Spontaneously (without being prompted): Children with autism often have difficulty with using language spontaneously. They may speak when told to or in response to specific questions but won’t speak up when they need something or when they are upset. For these children, it’s important to work on fading the amount of prompts that you are giving so that the child does more and more independently each time. 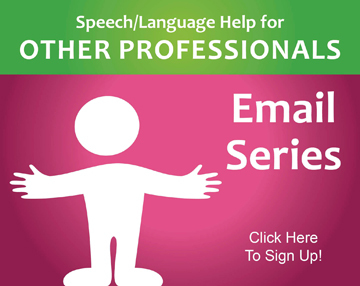 For example, at first you may have to tell the child exactly what to say in each situation. Then, you can fade back to a prompt like “use your words”. Then, you can fade back to a visual cue like a picture that says “use your words” or shows someone talking. There are many ways to fade cues so that is just an example. Another alternative for helping children who are having trouble using language spontaneously is to use a PECS system like mentioned before. This structured program has been very successful with increasing spontaneous communication in children with autism. It also may be helpful to start with teaching the child basic requests (as those will be the most motivating for him) and then move on to other types of communication such as commenting, greeting, asking, etc. once requesting has been established. 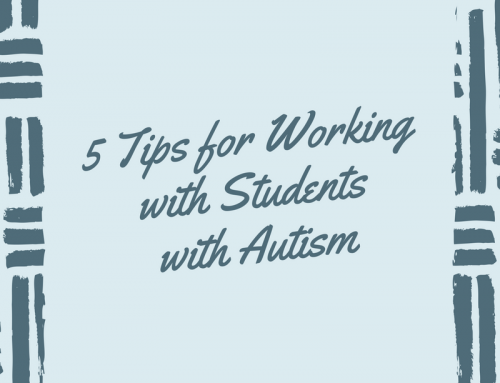 The next thing that all children with autism will need to some degree is social instruction. Children with autism have a problem with understanding socially acceptable behavior. They don’t always know how to act or behave in various social situations. Since school is basically just one big social situation, that can make learning environments especially hard for them. Direct Instruction of Socially Acceptable Behaviors: It is important to teach children what behavior is socially acceptable in various environments. This includes what the child should do and say in social situations as well as how he should listen and attend. For young children, you will target basic skills like listening to a teacher, answering questions, and following directions. For older children, you will include things like group conversations and being a good friend. Visual Supports: Visual reminders placed in the room or presented by adults help the child remember the expectations for that situation. Finally, since children with autism have such a difficult time with peer interactions, these must also be directly taught. All children with autism struggle with this to some extent as part of the nature of autism. However, you will target significantly different skills depending on the age and developmental level of the child you are working with. Play skills: Teach the child how to play with other children and get along during play. Responding to Name: Teach the child to respond when someone says his name. 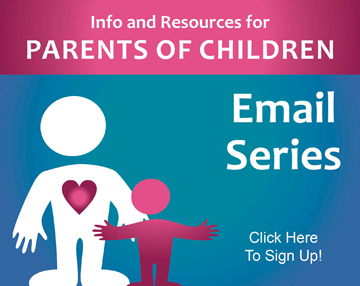 Establish Joint Attention: Help children tune into those around them. Target Conversational Skills: Look at social skills that the child is lacking during normal interactions with other students and adults. One of the most common requests I hear from parents of children with autism is “My child needs more time with the speech therapist”. I completely understand why they want this! 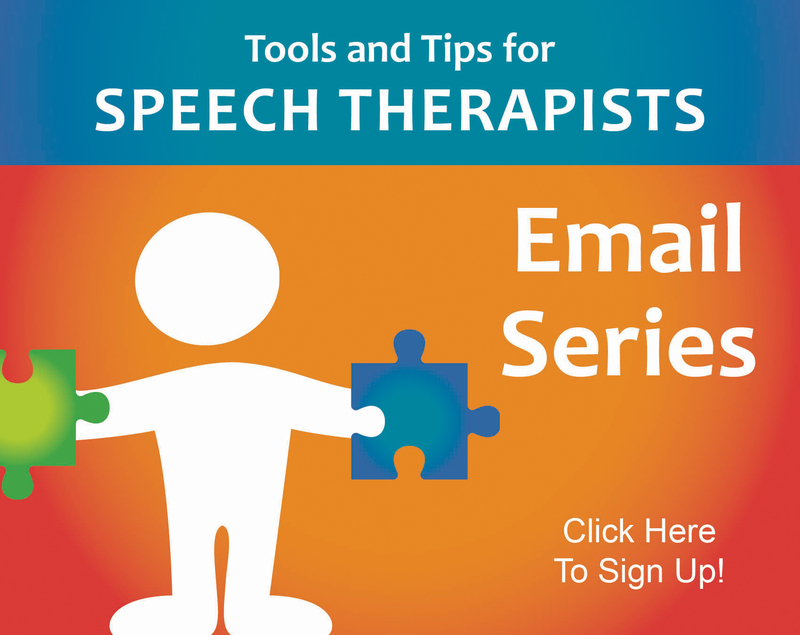 The speech therapist is the person who is helping their child communicate better so more time with that person should equal better communication, right? Unfortunately, that’s not exactly how it works. The Trouble with Generalizing: Children with autism tend to have trouble generalizing skills. For example, if you teach a child with autism to count to 5 using the same 5 yellow cups at the kitchen table and you never practice counting anywhere else, the child will do great at counting to 5 in that exact situation but may not be able to transfer that to counting anything else. The same goes for communication. If a speech therapist teaches a child with autism to communicate with her in the speech therapy room, it doesn’t necessarily mean that the child will then start communicating with other people and in other settings. Instead, the child must practice the same communication skills with a variety of different people and in a variety of different settings. For that reason, it is vital that the child does not spend every waking moment with the speech therapist. We want the child to communicate in any situation, not just when the speech therapist is present. How to Get Children with Autism to Generalize Communication Skills: If the child needs to work on communicating better, then the answer is not necessarily just to add more time with the speech therapist. 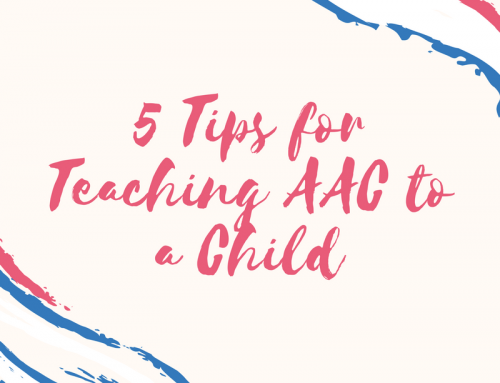 Instead, the speech therapist must train the other adults that interact with the child on how to do the same types of instruction, prompting, and modeling that she does. 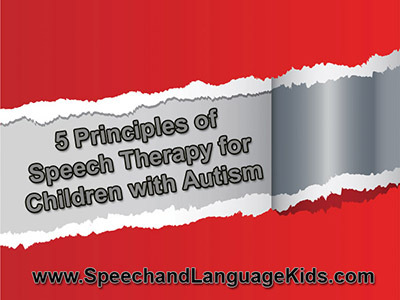 When the speech therapist trains the other adults, the child will make faster progress with his communication skills because he will be getting the same instruction from multiple sources and he’ll be able to practice those skills in the natural environment (at home and in the classroom as opposed to just in the therapy room). Direct Therapy Minutes: The therapist provides direct therapy to the child, often in an isolated setting like the therapy room. This is often best for introducing a new skill when fewer distractions are necessary. Push-In Therapy Minutes: The therapist provides therapy to the child within the regular education environment. This is often best for generalizing new skills to a more natural environment and modeling teaching strategies for the classroom teacher. Consultation Minutes: These may be called different things but these minutes are written into the IEP as time when the speech therapist will work with the classroom teacher (or parents) to show them the techniques that they can use to help the child learn to communicate in other settings. As you can see, there are many different ways to serve children with autism and you cannot just add more direct therapy minutes and expect it to help the student. Each student needs an individualized plan including a combination of different services. For more information on autism, CLICK HERE! This is some really good advice, I particularly like the stuff about using visual supports to help children understand socially acceptable behaviors. After all, children with autism do have quite a hard time learning new things sometimes and may need a little help. Of course, you need to make sure that have the right supports and that the child can understand the relation between them and the real world.